Congratulations to Justin French for receiving September’s Athlete of the Month honors!! 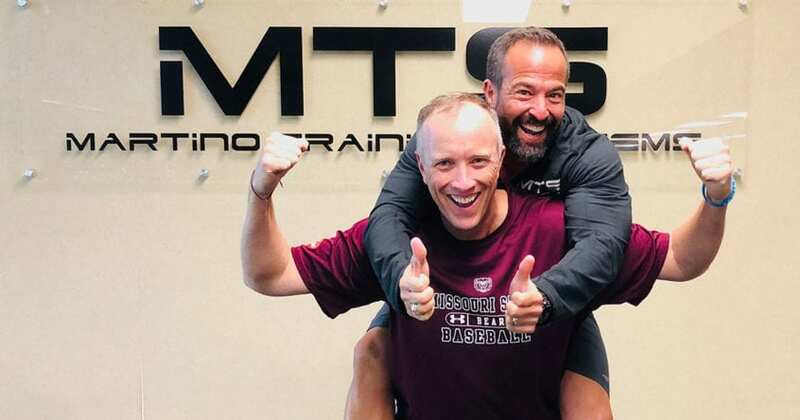 Just has been training with MTS since September 2009. He’ll tell you that he isn’t billboard material but we beg to differ. Aside from adding muscle, Justin came to us squatting to about 45 degrees. Now, he frequently makes extra money picking those Dalla Bills up in the Deep Squat position!! Justin’s consistency has also allowed him to add distance to his already scratch golf game. It’s been his continued effort and commitment the last 3 months that is allowing him to reach new levels in his training. Those of you that know Frenchy know that he is a devoted family man and we are blessed to have him as part of our community. Great community of people & workouts vary every day. Paul and Andy help to target specific areas I need help with.